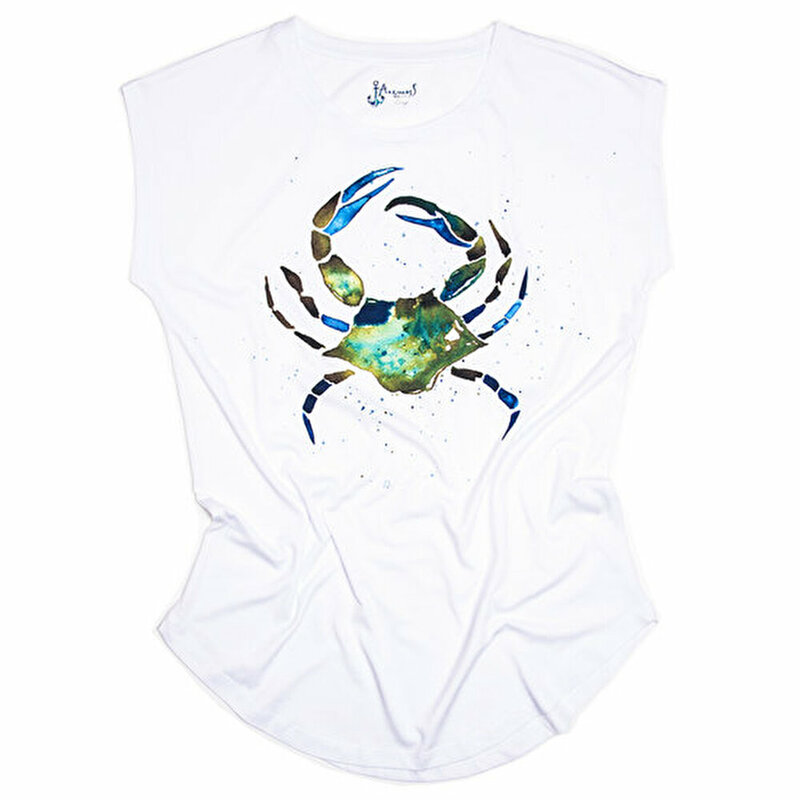 BiggDesign AnemoSS Crab Women's T-Shirt Product Details: 50% Cotton, 50% Modal, 30/1 Supreme, Weight: 140 gr. Washing instructions: Wash in 30 degrees, Do not Bleach is not used.You may iron inside-out with moderate heat, No dry cleaning, Do not tumble dry We worked with the Artist Gamze Yalçın for the AnemoSS Collection. She was inspired by the Aegean breeze and and designed the collection for all the seafarers.